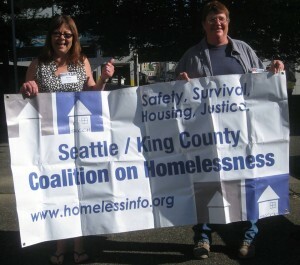 Coalition Support helps the Homeless Student Stability Act stay Alive! Katara Jordan of Columbia Legal Services shared the following message with supporters of the Homeless Student Stability Act (HB 1682), which is alive and well (currently scheduled for a public hearing in the Senate Committee on Early Learning & K-12 Education at 8am, Thursday, March 19). She especially wanted to thank Coalition members for their great support, calls, and postcard signing which was critical to keeping this bill alive and moving. Keep calling in and letting your legislators know that our state needs better support for students experiencing homelessness and this is possible with the Homeless Student Stability Act! Visit our bill tracker for most up to date info. 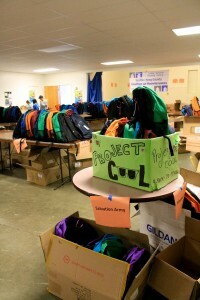 Friday, February 27 was critical in the fight to increase state support for homeless students. That morning, it appeared that the Homeless Student Stability Act would not receive a hearing in either the House or Senate budget committees. The 27th was the last day for bills to pass out of state fiscal committees. And generally bills must receive a public hearing before they are allowed to do so. Your effort calling your Representatives helped us secure a public hearing in Appropriations on the Homeless Student Stability Act —a necessary step to increase state support for homeless students. You were genuinely instrumental in securing a hearing for this bill! THANK YOU! We have even more exciting to news to share! On March 6, the House overwhelmingly passed HB 1682 (the Homeless Student Stability Act) in a vote of 82-16! Representatives Fey, Stambaugh, and Magendanz all gave great speeches on the importance of supporting homeless students and their families! This bill would provide increased in-school support for homeless students as well as create new housing partnerships between school districts and community organizations. With this bill, we could not just shelter hundreds of families and children across the state – we could house them. The bill also requires, for the first time, that school districts across the state begin to identify unaccompanied homeless youth. While schools are already encouraged to do so, many simply report “0” unaccompanied homeless students. Columbia Legal Services, a non-profit legal organization backing the Homeless Student Stability Act, estimates that there are approximately 4,400 unaccompanied youth in our schools, more than 2,000 more than are actually identified. That said, HB 1682 heads back to the Senate! To keep this bill moving, your voice and action is needed to make sure HB 1682 becomes law. Please call to ask the Senate Committee on Early Learning and K-12 Education to give HB 1682 a hearing. After you leave a message for your legislators, if you really want to go the extra advocacy mile, you can also directly call members of the Senate Committee on Early Learning and K-12 Education to give them the same message. The Senators labeled with two asterisks after their phone number are the most critical. Sign up for Columbia Legal Services newsletters and updates. Last week, Coalition staff were excited to be joined by our two fantastic scholarship recipients at the 23rd Annual Statewide Conference on Ending Homelessness. The Washington Low Income Housing Alliance put on this informative and exciting conference, this year in nearby Tacoma. We were joined by Susan and Tracy (pictured below) and spent two full days learning and connecting with people from all around the state committed to ending homelessness. I had the pleasure of getting to know both recipients both before and during the conference and their enthusiasm was contagious!